Strong Roots, Big Plans: What Does Diversity Mean Now for APA? Audience at NPC18. Photo by Riverview Photography. Nearly 10 years ago, the American Planning Association celebrated its 100-year anniversary. Our organizational roots date back to 1909 and the first National Conference on City Planning in Washington, D.C. That same year, Daniel Burnham’s Plan of Chicago was published. An educated guess would be that 99 percent of Burnham’s colleagues — planning practitioners and other professionals — were white men. APA’s 2018 National Planning Conference in New Orleans offered a sharp contrast to these beginnings by demonstrating a far more diverse membership. To illustrate, none of the four most recent APA presidents (Cynthia Bowen, FAICP; Carol Rhea, FAICP; William Anderson, FAICP; and Mitchell Silver, FAICP) is a white man. We also have four very active population-related divisions (Latinos and Planning, LGBTQ and Planning, Planning and the Black Community, and Women and Planning), a Tribal Planning Interest Group, and a growing number of diversity committees and initiatives in APA chapters. During NPC18, APA hosted a robust educational track on “Planning for Inclusiveness and Social Justice.” Several significant historical milestones have facilitated this transformation, including women’s suffrage, the GI Bill, the Civil Rights Act, and affirmative action programs. The cornerstone of planning in America is change, which is both an infallible constant and a perplexing dichotomy because new opportunities and threats create favorable conditions for some people and unfavorable conditions for others. Change manifests at many levels, degrees, and frequencies. Sometimes it is abrupt and rapid and sometimes it is gradual or even negligible. Diversity in planning reflects demographic changes in our population: age, gender, race, nationality, and many other characteristics. The pressing and nonstop challenges of including everyone in planning discourse and practice and ensuring that change creates just and fair opportunities for all are at the core of the planning profession. The career of Margarita Piel McCoy exemplifies this work at the individual level. McCoy received posthumously the 2018 National Planning Excellence Planning Pioneers Award for accomplishments that include being the first woman appointed as a full professor of urban planning at a major U.S. university — where she served as department chair — and increasing opportunities in the planning profession for minorities and women. The time has come for APA, as a professional organization, to formalize efforts to sharpen the focus on diversity, inclusion, and equity. NPC18 was the backdrop for the culmination of defining what diversity means now for APA. About a year ago, our newly elected President Cynthia Bowen, FAICP, charged the newly formed APA Diversity Committee with the task of answering this critical question. The result was a detailed Diversity and Inclusion Vision Statement, Mission Statement, and Strategy that defines “Diversity and Inclusion” and identifies a series of strategies and goals to advance the vision. In April, the APA Board of Directors approved its adoption into APA’s Development Plan, which sets the direction for how APA operates and informs and inspires what we do as a planning community. The D/I strategy now is a permanent part of APA. This was an important first step toward promoting understanding and practicing diversity and inclusion both within and outside the planning profession. There remains a tremendous amount of work to be done to make significant change, and it will take time. All of us, every member of APA and the planning community, are needed to keep moving us forward. Implementation details will unfold in the coming months. Please visit APA’s diversity webpage for the latest information. I welcome and encourage you to join us on this journey. Although the APA Board has approved the Diversity and Inclusion Vision Statement, Mission Statement and Strategy, it should be considered a living document requiring regular reviews and updates to ensure it remains relevant to our goals. During the 2018 FAICP induction ceremony in New Orleans, new inductee Maxine Griffith, FAICP, included in her address to the new Class of Fellows important remarks specific to the implementation of APAs’ Diversity and Inclusion Strategy, including the need to identify the details. Every member of APA is welcome and encouraged to provide comments, feedback, and constructive critique — as Maxine Griffith did— so that we can better identify immediate and long-term activities and be well prepared to implement and update the plan as necessary. Our deepest gratitude goes to former members of the APA Diversity Task Force, the immediate-past and current members of the APA Diversity Committee, and APA staff for putting together this important document. Most importantly, we thank the courageous and idealistic APA members whose decades-long persistence paved the way for this organizational transformation and nurtured the roots of meaningful change. Miguel Salinas; Mitchell Silver, FAICP; Clarence Simmons, AICP; Sheri Smith, AICP; Perris Straughter, AICP; Philip Taylor; Nicole Thompson; Giovania Tiarachristie; Elizabeth Tyler, FAICP; Lawrence Vasquez; Leonardo Vazquez, AICP; Miguel A. Vazquez, AICP; Monica Villalobos; Sarah Whitham; Jeffrey Wilkerson, AICP; Hing Wong, AICP; Michael Wozniak, AICP; Adrienne Zeigler; Shellie Zias-Roe, AICP. Find more information at www.planning.org/diversity or email diversity@planning.org. 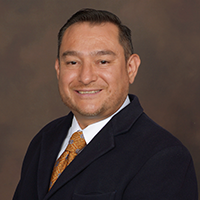 Miguel Vazquez is the chair of the APA Diversity Committee and a Healthy Community Planner for the Riverside University Health System-Public Health (RUHS-PH).